It’s no secret, the United States is ahead of the curve in a lot of things. We have a fantastic entertainment industry and an innovative tech industry. The United States is also a prolific generator of… electronic waste. Over 41 million tons of electronic waste was generated globally in 2014. The United States generated a quarter of that with 11.7 million tons of electronic waste. Considering that the population of the United States amounts to just 4.2 percent of the world’s population, it is clear that big changes need to be made. The numbers are big, but, to make a change, you have to start small. Your business can help make a change by recycling your old electronic equipment. Read on to learn more about the advantages of recycling electronic equipment. Taking care of the Earth is often the reason why many people and businesses choose to start recycling. But why does it matter whether we recycle or discard old electronic equipment? I mean, it can’t do too much harm, right? Electronic waste contaminates the Earth in every possible way. It contaminates the air when it is dismantled or burned improperly by releasing dust and particulates — including lead. These particulates can be carried a long way and impact your health if you breathe them in. It also contaminates the soil when it breaks down in the soil or through irrigation with contaminated water. Lastly, it contaminates water when old equipment is sent to landfills not properly prepared to hold electronic waste. Proper recycling procedures prevent hazardous materials from leaching into the soil, air, and water. And if all this isn’t enough, electronic waste is also harming orcas. If you have a utility closet full of used electronic equipment, then you know firsthand about how it can take on a life of its own. Instead of tossing the equipment, you throw it in the closet and put off dealing with it until later. While it’s great that you’re not disposing of the equipment and letting it take up space in a landfill, it’s not doing you any favors by sitting in the closet. Recycling computers and similar equipment not only makes a difference in the environment, but it also creates a cleaner, neater workspace for you. What could be better for productivity than a neat, organized workspace? If the cost of recycling old equipment is holding you back, then you may rethink that once you hear how you can actually save money from recycling. First, it is often cheaper to have a recycling company come pick up your waste than it is for your regular trash company to pick it up. If you’re upgrading, some companies may allow you to trade certain pieces of equipment in and give you a discount on new purchases. Lastly, old equipment is an energy hog. Newer office equipment is designed to be much more energy efficient. Replace that old equipment and save big on your electric bill (and have more reliable equipment). Then recycle the old stuff. In today’s world, social media amplifies word of mouth to a massive degree. This means that companies with environmentally friendly business practices are going to get a ton of goodwill from consumers once word gets out. Recycling old equipment is a huge step in the right direction for companies who want to be known as ethically responsible. Your employees will love it, too! Now That You Know the Advantages of Recycling, Will You Start? The problem with pollution and the amount of electronic waste the United States produces each year is alarming. And making a change in the amount of waste we produce seems like a difficult task. Remember, every step you take to reduce waste is a step toward a cleaner environment. The advantages of recycling are numerous — from making a positive impact on the environment to generating goodwill for your business to saving and making money. Why wait to get started? Are you interested in taking a step in a greener direction? 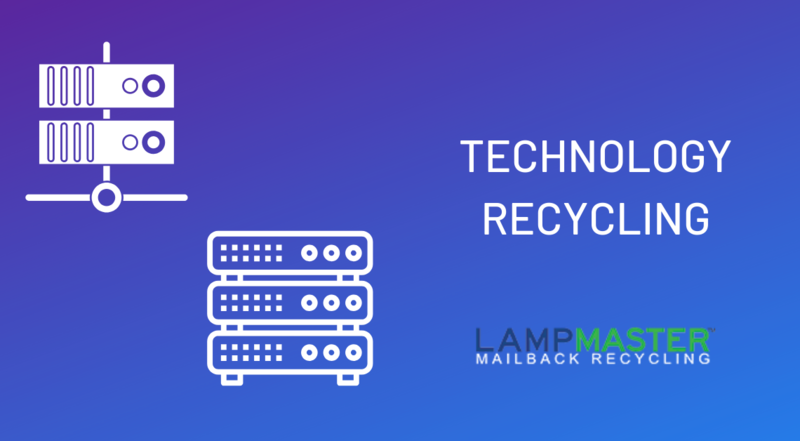 Contact us today to get a quote for electronics recycling!